On rarely seeing his famous dad: The singer confirms that his father, Julio, has not met his girlfriend of 12 years, Anna Kournikova. "The last 14 years, 15 years of my life have flown by. And that's the only way I can truly explain it. There's no reason why -- it's not his fault, and it's not my fault." On turning down multimillion-dollar deals to appear as a judge on American Idol & The X Factor: and the original cast of NBC's "The Voice." Why? Because they clashed with touring and album plans. "I cared more about going into the studio and writing songs," he says. "That's what makes me happier." On aging: Iglesias is plagued with "killer" migraines and says he has hangovers that last for days, when they used to last hours in his 20s. As for his body: "The first two weeks of touring are tough on me because I notice it in my bones, in my joints, it's 'Whoa.'" 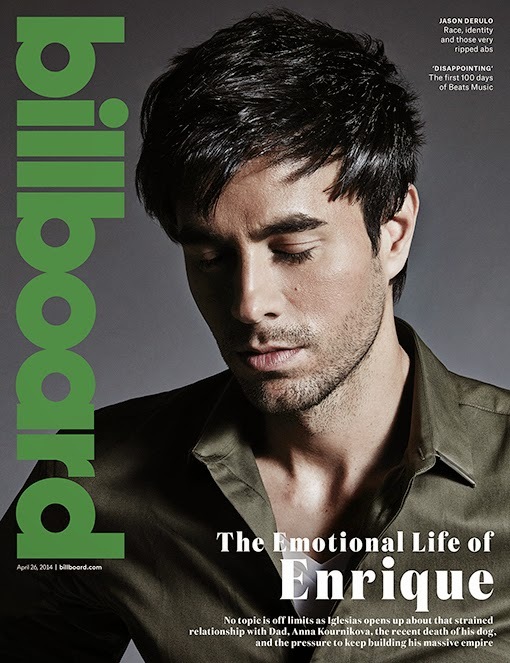 Enrique's new single and video is Bailando, for which 2 versions have been recorded: one in Spanish (video is out already) and one in English.